In many countries, microfinance has been proven to be an effective tool in enabling the low-income segment of the society to borrow and kick-start small businesses. There are three important microfinance institutions in Malaysia, namely, Amanah Ikhtiar Malaysia (AIM), Yayasan Usaha Maju (YUM), and Tabung Ekonomi Kumpulan Usahawan Niaga (TEKUN). In accordance with Islamic law, any element of usury must be avoided entirely in economic transactions, hence resulting in the imposition of management fees on the borrowers instead of interest. 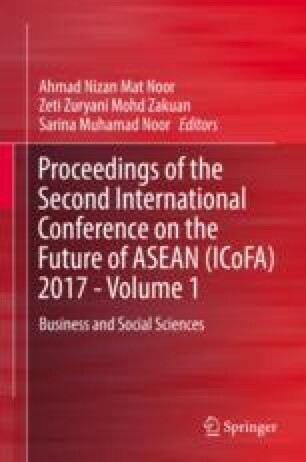 This chapter seeks to study the issues and challenges faced by Islamic microfinance institutions in the Malaysian context. Bank Negara Malaysia. (2007). Financial stability and payment systems report 2009: Malaysia’s microfinance framework. Bank Negara Malaysia. http://www.bnm.gov.my/files/publication/fsps/en/2009/cp01_003_whitebox.pdf. Accessed 3 Mar 2017. Bank Negara Malaysia. (2014). Questions and answers on Pembiayaan Mikro and micro enterprise fund. Bank Negara Malaysia. http://www.bnm.gov.my/documents/sme/FAQ_on_Pembiayaan_Mikro_English.pdf. Accessed on 20 Mar 2017. Convergences Barometers. (2014). Microfinance barometer 2014. Convergences Barometers. http://www.citigroup.com/citi/microfinance/data/lebarometre.pdf. Accessed 7 Mar 2017. Department of Statistics Malaysia. (2012). Economic census 2011: Profile of small and medium enterprises. Department of Statistics. https://www.dosm.gov.my/v1/uploads/files/BanciBE/Penerbitan_Profil_PKS_2011.pdf. Accessed 10 Mar 2017. McGuire, P. B., Conroy, J. D., & Thapa, G. B. (1998). Getting the framework right: Policy and regulation for microfinance in Asian. http://dev.bwtp.org/wp-content/knowledgecentre/books/Getting-the-Framework-Right.pdf. Accessed 22 Mar 2017. Sabah, Y. U. M. (2017). Sejarah Ringkas YUM. Yayasan Usaha Maju. http://www.yumsabah.com.my/my/index.php/mengenai-yum/sejarah-ringkas-yum. Accessed 20 Mar 2017. Sabah Tourist Association. (2017). People and culture. Sabah Tourist Association. http://www.sta.my/people_culture.cfm. Accessed 20 Mar 2017-06-09.